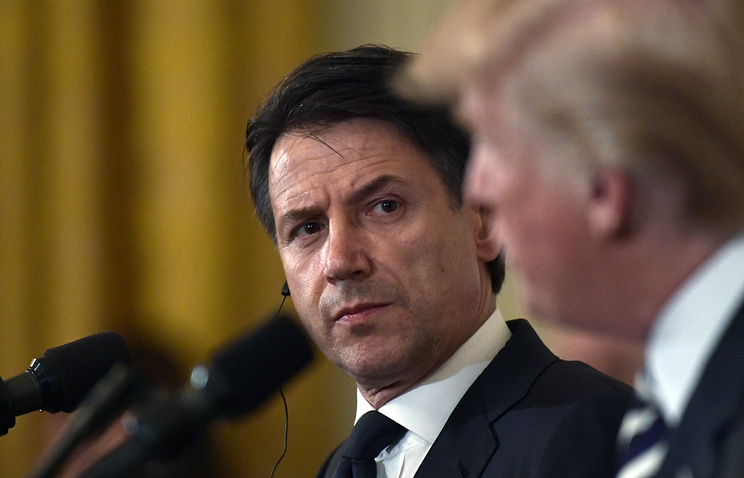 Moscow and Rome plan to sign a number of trade and economic agreements during the upcoming visit to Russia by Italian Prime Minister Giuseppe Conte, Italian Ambassador to Russia Pasquale Terracciano told Kommersant. "We have close economic ties with Russia, and during the prime minister’s visit plans are in store to sign some substantive trade and economic agreements. Of course, the two countries’ leaders will discuss key international issues, especially Libya's stabilization, in which we are extremely interested, and also Ukraine, Iran and the Middle East. We believe cooperation with Russia on all those issues will help us find solutions," he said. Speaking about the ongoing anti-Russian sanctions, the ambassador noted that they are not a perfect tool to resolve disagreements. 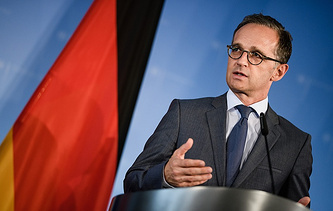 "We do not want them to become a normal state of affairs, so every time these sanctions are extended we insist that they should be preceded by a discussion at the political level," he stressed. According to Terracciano, Russia’s image in the West, especially in the media, has been grossly distorted. "When I said that, I meant the Western media in general rather than the Italian (press), because Russia’s image in Italy continues to be very good. However, in the broader European and Western context, and indeed in America, one can indeed get a somewhat grotesque impression of Russia, judging by some media outlets. Of course, I represent a country with which Russia has traditionally had warm relations. However, the most important thing is that I believe in traditional diplomacy, which I see as an aspiration to solve problems and bring people from different countries closer," the ambassador said. When asked to comment on Italian companies doing business in Russia under pressure from sanctions, Terracciano said, "Our trump card is that Italian businesses never turned their back on Russia, either amid crisis or when sanctions were imposed, although we did feel the effects of countersanctions. However, our companies are not afraid to explore new opportunities, even if they have to travel as far as Siberia," he explained. Nezavisimaya Gazeta: Will Assad’s Idlib offensive trigger a Russian-US standoff in Syria? Tensions in Idlib continue to heat up, as the US and its allies wrap up concentrating their forces in the Middle East and the Mediterranean in order to launch missile strikes against strategic targets in Syria. Meanwhile, Russia has begun the active phase of its military exercises involving aircraft and warships off Syria’s coasts. Moscow insists that airstrikes on terrorist targets will continue until they are completely eliminated, but the US and some other countries are strongly opposed to that. Whether this will escalate into a real confrontation between Moscow and Washington there still remains unclear, Nezavisimaya Gazeta writes. Friday’s trilateral meeting between the Russian, Iranian and Turkish heads of state in Tehran is expected to clarify a lot of things. Judging by official statements, Moscow and Tehran are determined to back the Syrian army’s offensive. On the other hand, Turkey, while agreeing with the need to wipe out the terrorists in Idlib, opposes the beginning of a large-scale military operation there. Military expert Shamil Gareev revealed some key details on the US military’s presence in the region to the paper. He noted that in addition to its submarines, four US missile destroyers have been sent there, while as many as 120 warplanes of various classes are being deployed to Middle East airfields. "They are capable of delivering air-to-surface missile strikes on any part of Syria," he explained. Gareev is certain that the order to use them can be issued at any moment. That could be "just a pre-emptive strike to allegedly stop the ‘bloodshed’ in Syria, and the Americans may not necessarily warn Russia about that," he elaborated. The steps that Russia would take in response are unknown. "You can be sure of one thing though: Russia’s air defenses in Syria have been put on full combat alert," he concluded. Moscow and Hanoi have signed a number of important cooperation agreements on energy, trade, the economy and global information security. In particular, Russia intends to supply liquefied natural gas to Vietnam, President Vladimir Putin said following talks with General Secretary of the Central Committee of the Communist Party of Vietnam Nguyen Phu Trong. One of the most significant agreements reached at the talks was a deal on using national currencies in transactions. Russian-Vietnamese relations have huge potential for development, Alexei Chepa, Deputy Chairman of Russia’s State Duma (lower house of parliament) Foreign Affairs Committee, told Izvestia. "We have a wide range of mutual interests. We need to boost our trade and economic potential with Vietnam, and this is planned, including traditional long-term military-technical cooperation." Russia needs to cultivate relations with Vietnam and other countries in Southeast Asia, says Grigory Lokshin, a Leading Research Fellow at the Center for Vietnam and ASEAN Studies of the Russian Academy of Sciences’ Institute for Far Eastern Studies. "Vietnam has an important role to play in [Russia’s] shift to the East. This turn [to the East] cannot boil down just to developing ties with China. It is important to make sure that this cooperation covers Vietnam and also ASEAN countries to diversify our foreign economic policy," the expert stressed. Nguyen Phu Trong will stay in Russia until September 8. He is expected to hold talks with State Duma Speaker Vyacheslav Volodin and senior executives from Russia’s oil and gas companies working in Vietnam. Moldova’s Party of Socialists has collected around a million signatures in favor of changing the form of government from a parliamentary to a presidential republic. Lawmaker Vladimir Tsurkan told Nezavisimaya Gazeta that this provision had been included in the party’s election program. "This is the ultimate goal, and at the initial stage it will be enough to secure the parliamentary majority controlled by the president. After that, the president will be able to initiate a referendum on changing the form of government, and its results will be confirmed by the parliament," he said. If Moldovan President Igor Dodon’s powers are extended, he will be able to guarantee the country’s accession to the Eurasian Economic Union (EAEU) and continue the Russian peacekeeping presence in Transnistria, the paper notes. The issue was raised at Dodon’s meeting with Transnistrian leader Vadim Krasnoselsky on Thursday. Oleg Belyakov, Co-Chair of the Joint Control Commission from Transnistria, stressed in an interview with Nezavisimaya Gazeta that Russian peacekeepers must stay in the region, because they will help preserve peace there. "Without them the situation will destabilize. Chisinau should accept this term, the more so since it reflects the will of people in Transnistria expressed at the 2006 referendum," he emphasized. Belyakov also noted that Moldova’s president is in favor of preserving the peacekeeping mission in Transnistria, while the parliament speaker and the country’s prime minister are opposed to it. Sweden lacks any legal prospects to block the construction of the Nord Stream 2 gas pipeline, Lars Gronstedt, Senior Management Advisor to Nord Stream 2 AG in Sweden, told Izvestia. He commented on media reports saying that Swedish MPs are in favor of blocking that project. According to Gronstedt, there are no legal options in Sweden’s legislation to block the project, since the permit for the pipeline’s construction was issued in June. The only thing that can be done is going to EU structures and requesting limits on Russian gas imports. However, European Union members have different opinions on the demand for Russia’s gas, he explained. Member of Sweden’s Left Party Stig Henriksson espoused a similar view. A source in the country’s parliamentary opposition told the paper that the emergence of the Nord Stream 2 issue on the political agenda is closely related to attempts to score additional political points using anti-Russian rhetoric in the run-up to the parliamentary elections, scheduled to be held on September 9. 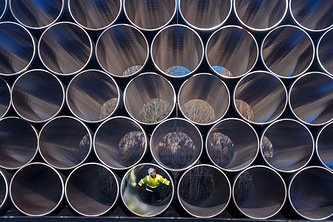 Meanwhile, Denmark continues to be the only country that has been delaying the issuance of a permit for the construction of the Nord Stream 2 pipeline. Last year, Copenhagen passed a special law, which enables it to reject pipeline projects in Danish territorial waters not only for environmental reasons, but also due to foreign policy interests and national security issues.